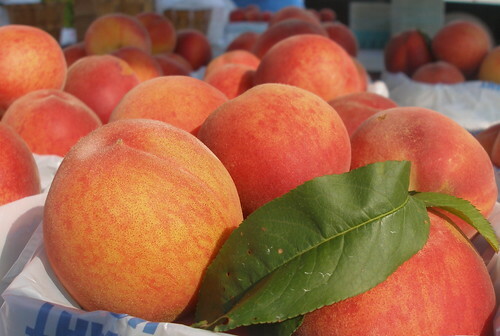 Sweet, sticky juice dripping from your chin, to your wrist, down your forearm...from the brightest, softest summer peach. 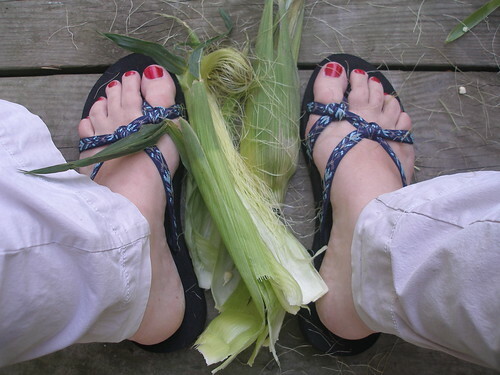 Sitting on the back porch husking sweet corn until your feet are buried in feathery tassels and coarse green leaves. The smell of hay being cut and raked, tossed into windrows, and left to dry in the summer sun. 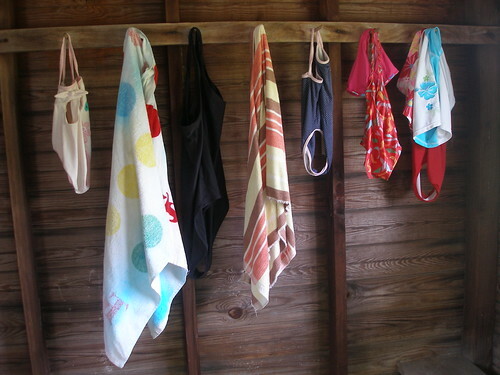 Swimming suits, always at the ready, hanging up to dry on the pegs inside an old wooden pool house. Hello to Grace's readers. 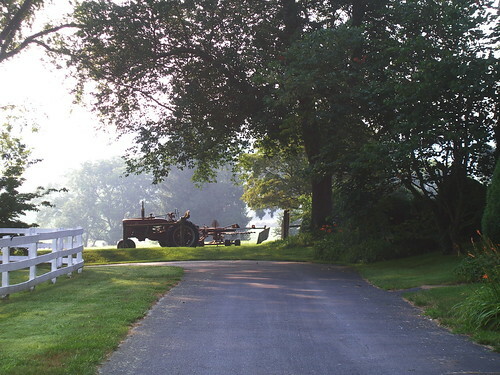 My name is Molly and I blog at mollycoddle about my life on a little green spot in the country, raising three young girls, keeping my home, and finding time for creativity. You can also find my photographs here. And *thank you* to Grace for beginning this series. It has caused to be more mindful of the sights and sounds and smells of Summer.